The smart way to carry your net. 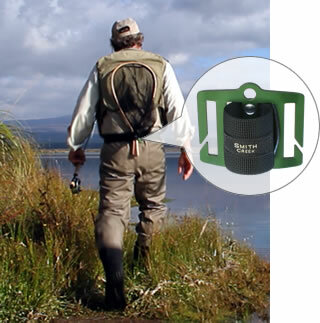 Finally a way to carry your landing net without it getting in the way. 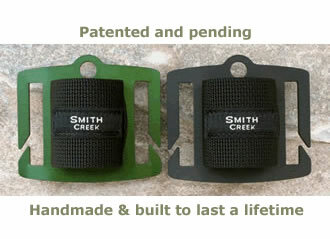 No more fumbling with a clip behind your back. Quick to draw. - Easy to holster. - Keeps your net secure and out of the way. Fits all landing nets big or small, wood or metal. Crafted in New Zealand using the finest materials. Guide tested and still using them ... they wouldn't give them back!